This is not a drive-by! 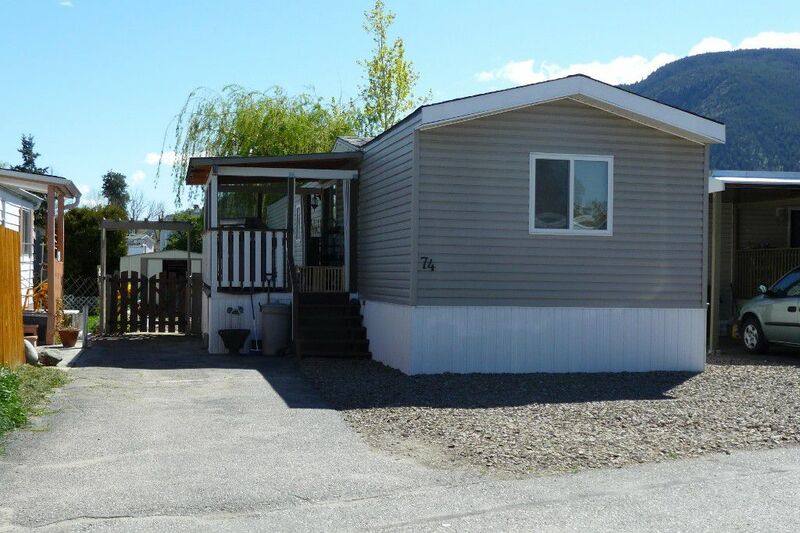 Professionally renovated 3 bedroom/2 bath home in Sun Leisure family park minutes toSkahaBeachand Okanagan River Channel. This is a bright, clean home with many recent upgrades including newer Berdick high-efficiency windows, hot water tank, Carrier Gas furnace/central air, high-end appliances, laminate floors, vinyl siding & bathrooms. Very low utility bills. This home offers a spacious open floor-plan with 2 ensuites, two bedrooms at one end of unit and the third bedroom at the other end with a full bathroom. Relax in the private fully-fenced, low-maintenance back yard. Lots of secure storage plus an outdoor 10' x 10' garden shed on a clean, concrete foundation. Enjoy warm summer evenings out on the covered sundeck with a nat.gas BBQ hook up. Must be seen--call to arrange a viewing.